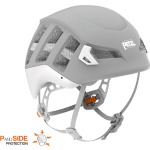 Designed for climbing, mountaineering and ski touring, the METEOR helmet is lightweight and low profile, with excellent ventilation, making it comfortable for both summer and winter. 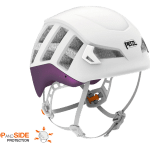 The design provides reinforced protection to the top and circumference of the head. 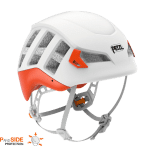 METEOR is the first CE-certified ski touring helmet.